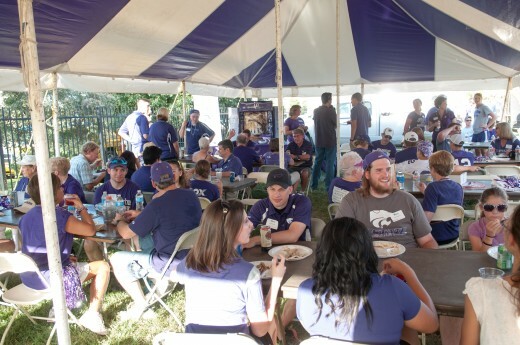 Join us for Wildcat tailgating fun! The College of Arts and Sciences hosts a tailgate party in Cat Town prior to each home football game this season and we are extending an invitation to the entire ArtSci family to join the fun and connect with your college! Last year, nearly 500 college alumni and friends made this the best pre-game party in Cat Town. We hope you’ll join the fun in 2016! Location: Cat Town, USA, which is located at the south end of the west parking lot at Bill Snyder Family Stadium. Click for a map. Start time: The party starts two hours prior to kickoff for each home game. What does your $25 include? Need tickets to the game? Contact the K-State ticket office at www.kstatesports.com or 800-221-CATS.